Lush gardens, open plan living and dining areas, relaxation pavilions, authentic teak furniture and very attentive staff come together to create a home away from home feeling that you will won't to leave in Villa 326 , a peaceful and quiet oasis nestled amid verdant rice fields about 2km from Berawa Beach in the Canggu region of Bali. 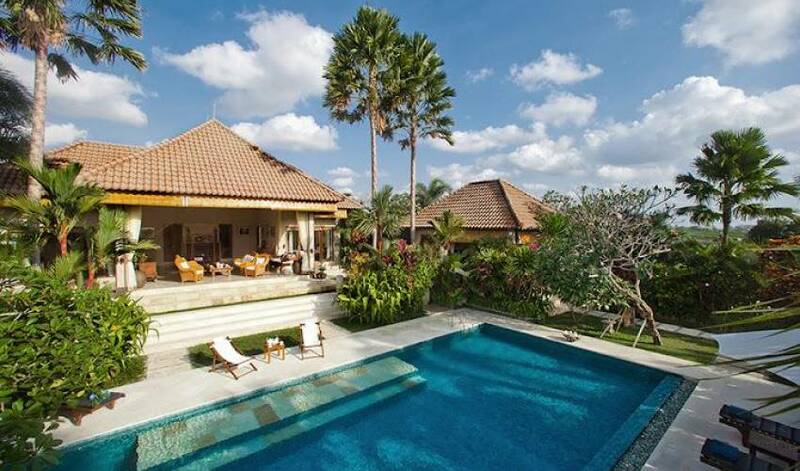 It's just 20 minutes north of the upscale neighbourhood of Seminyak with its great boutiques, restaurants and nightspots, and only 25 minutes from Nirwana golf course, one of the best in Asia. 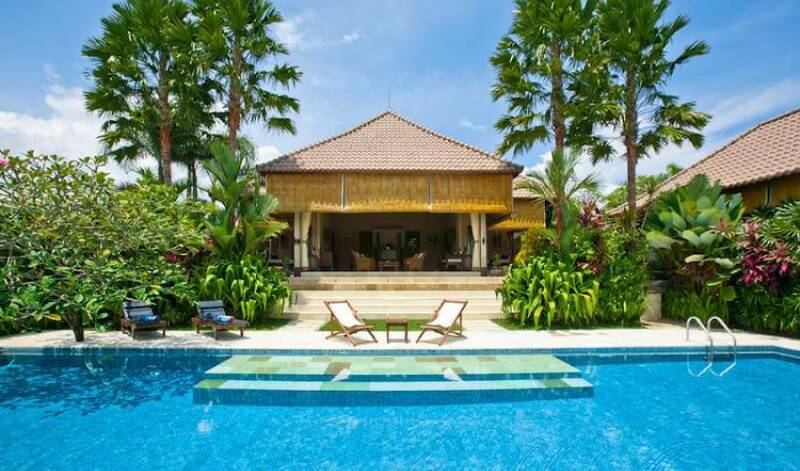 Combining the tranquillity of a lush tropical environment and all of the required amenities of luxury living, Villa 326 offers the perfect exclusive holiday hideaway. Here you will be spoiled by fabulous views of large gardens and the surrounding green belt. 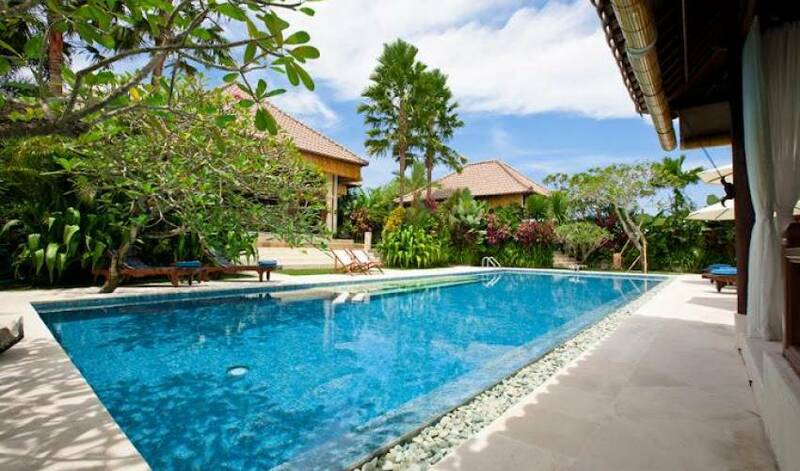 The villa itself has a very homely and harmonious feel creating a strong sense of being a home away from home. 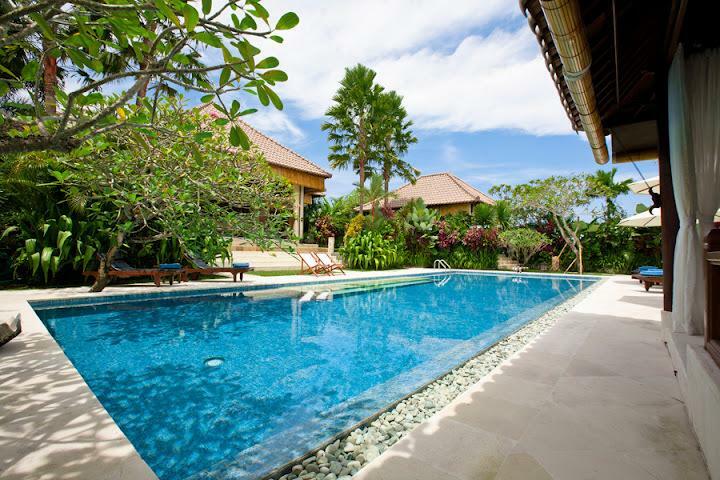 The villa is fully staffed by a team of carefully selected, well trained, friendly professionals who will do their very best to ensure that guests have a truly memorable stay. 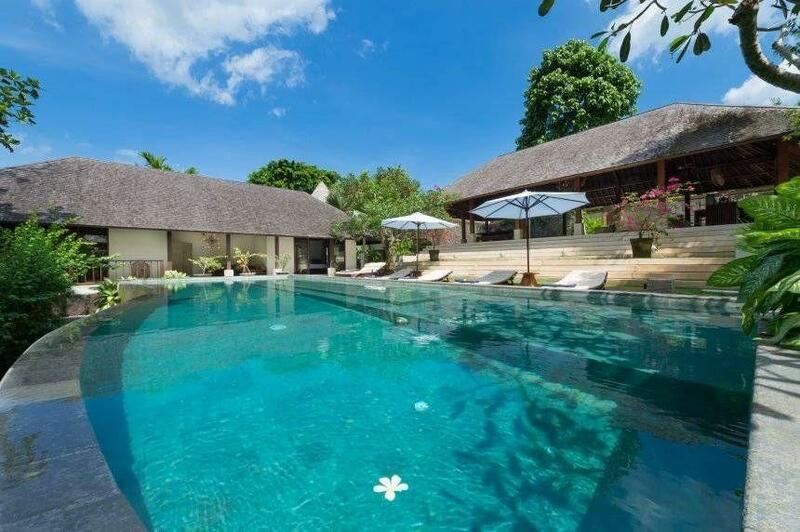 The villa takes its name from one of the village Bali, a picturesque place located on the rim of Bali's Mount Batur, an active volcano that sits within the confines of a massive and ancient caldera. The spectacular views of the caldera and a large crater lake attract tourists from around the world. 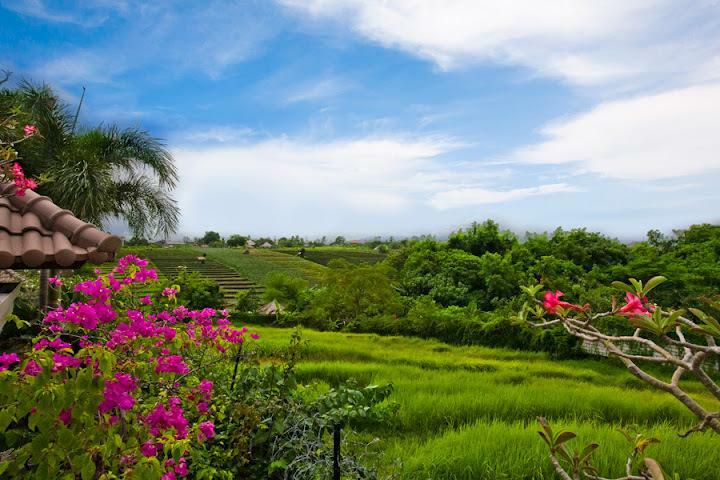 It's also renowned for its swathes of organic farmland, orchards and coffee plantations, which grow in the rich volcanic soils and temperate subalpine climate. This is truly a Bali in touch with its spiritual and cultural past and one far removed from the overdevelopment of the south. 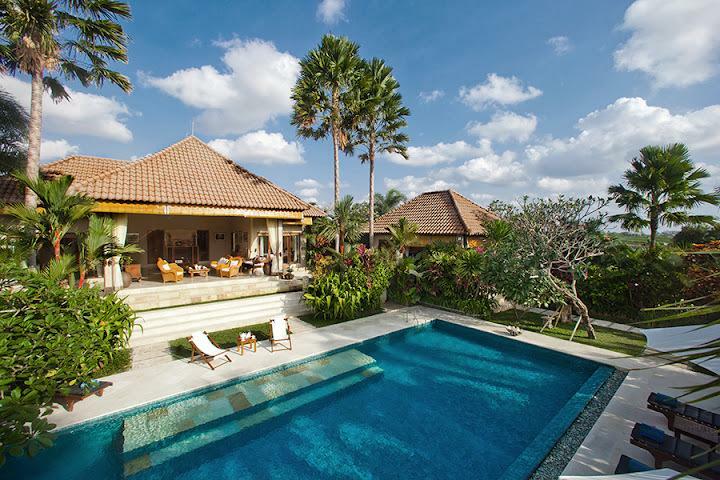 Villa 326 House consists of several buildings spaced out in the style of a Balinese family compound and is surrounded by lush tropical gardens within a land area of 2,000sqm. The main building houses three bedrooms, including the king-sized master suite, and each has marble floors and teak furnishings and a semi-outdoor bathroom with a Japanese-style sunken bathtub. Two of the bedrooms face out to the pool area, which can be directly accessed through glass sliding doors. Bedroom number four sits in a standalone pavilion in the garden and comes with its own sitting area, bathroom and is faces out into the garden, where a bamboo bale bengong relaxation pavilion sits, perfect for meditation, yoga or simply relaxing with a good book. In the centre of the main building, overlooking the gardens is a spacious living area with two natural rattan sofas, two arm chairs, an antique wooden coffee table set around a large flat screen TV, a DVD player and great sound system. 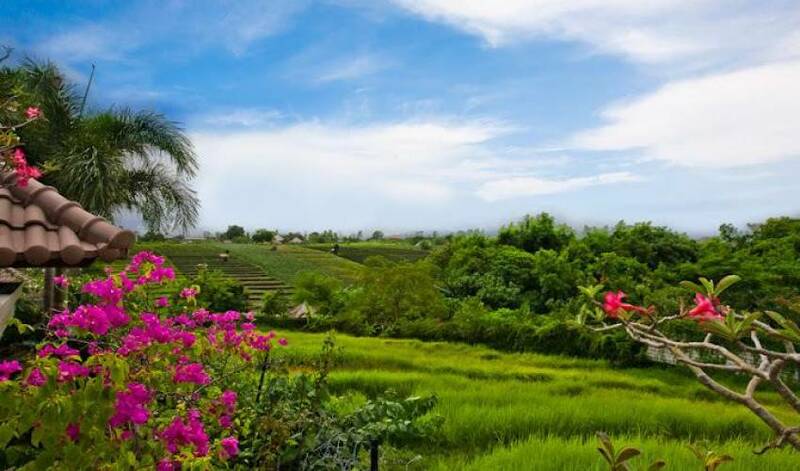 The gardens are lush and filled with tropical plants and enjoy a large lawn space and the views over the gardens and neighbouring rice fields from the living room face west, allowing Bali's gorgeous sunsets to be viewed from the comfort of the sofas and arm chairs each night. 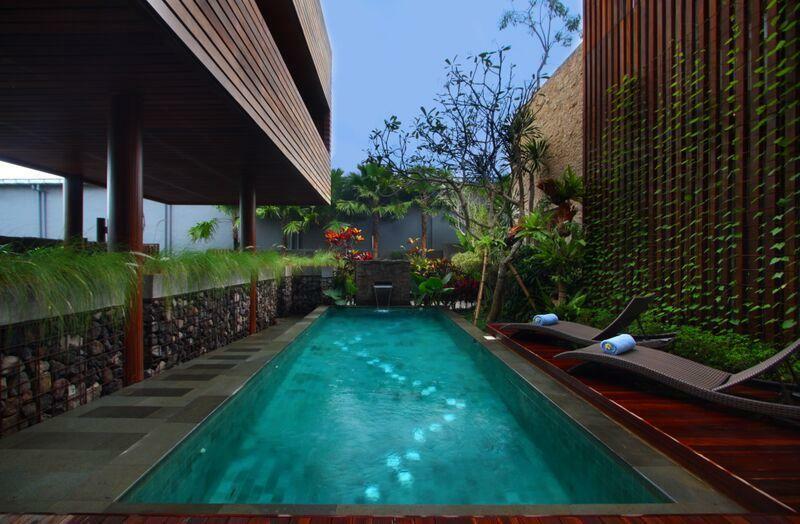 The architecture is a charming fusion of modern Balinese and minimalist tropical design, which makes effective use of natural texture and local materials, while also incorporating the essential elements of Balinese Hindu philosophy and symbolism, and creating a true sense of place for your holiday. A 16 x 6m swimming pool sits directly in front and below the main building and it seems to cool the whole complex during the day, while the warmth of its lights creates a romantic ambience when night falls. 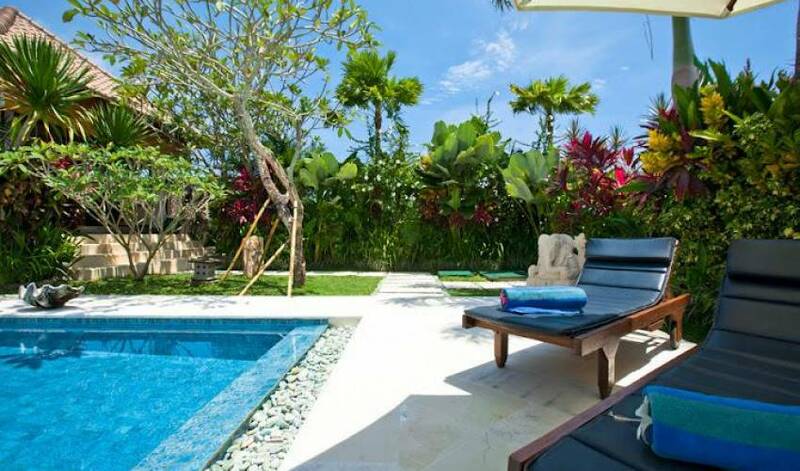 It is surrounded by a natural stone terrace with sun beds, umbrellas and very nice lounge gazebo big enough for a large group to laze and chat together, or simply to enjoy a Balinese massage by oneself. 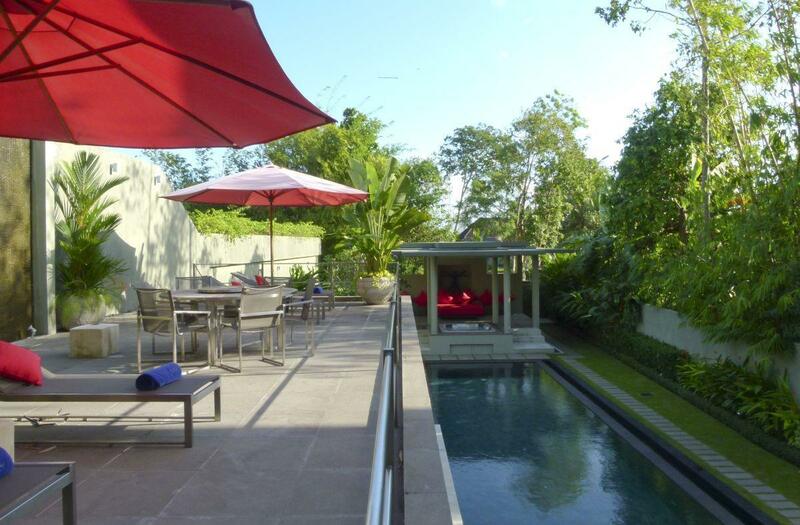 There is an open plan dining room with seating for eight located beside of the swimming pool. It comes with fully equipped western kitchen and is perfect for those wanting to cook for themselves and their friends. Although, with a full compliment of fully trained kitchen staff who are on hand to cook breakfast, lunch and dinner, it is hardly a necessity. Feel free to ask the villa staff to set out some candlelights and flower petals for some very romantic and unforgettable moments. 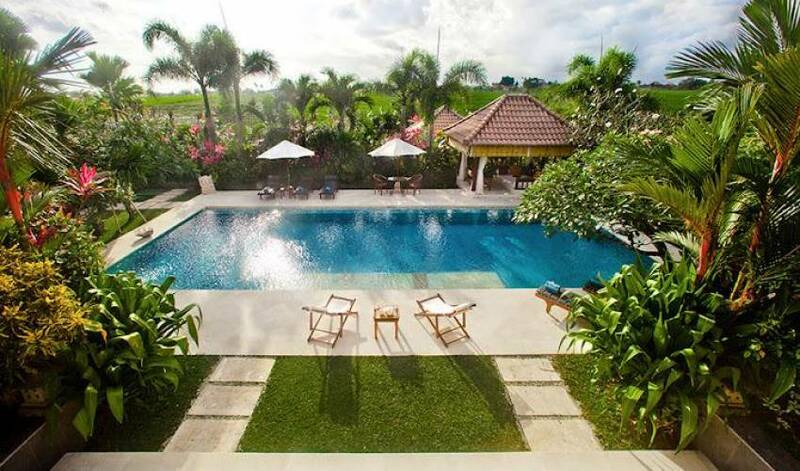 Villa 326 House is located in the Canggu region of southern Bali, close enough to the fashionable day and night time shopping and party action of Seminyak, yet far enough away from the hustle and bustle to truly relax and take in the picturesque landscapes, charming Balinese villages, the beach and the rural charm of Bali. It is only 45 minutes away from the airport and about 30 minutes from one of Asia's best golf venues, the Nirwana golf course. 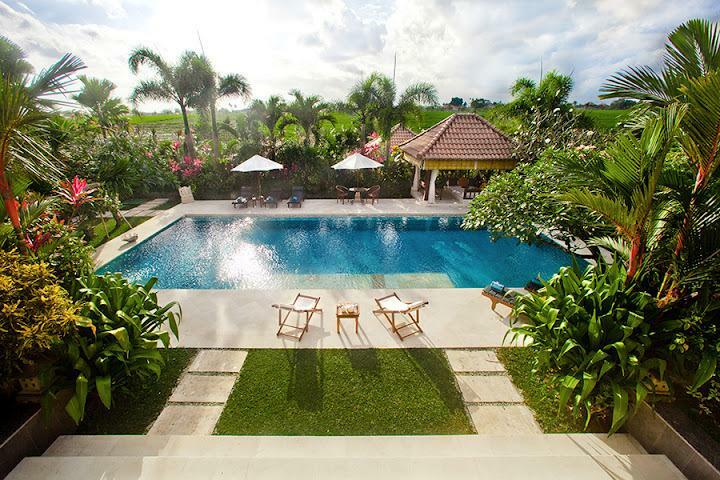 Canggu is world famous because of its great surf spots such as Berawa and Echo Beach. Echo Beach is right next to the villa and offers many dining options from Indonesian and western food through to classic Bali seafood BBQ. Also not far from the villa is a huge selection of dining choices that include traditional Indonesian warungs (village restaurants), Thai and Italian food, organic cafes, bakeries as well as a western supermarket. The Beach House restaurant in Echo beach is perfect spot to get freshest grilled seafood and is a favourite destination for family dinners on Sundays.